" Mary Marshall is an engaging, knowledgable, and entertaining speaker who easily connects with her audience"
Educator - Mary helped develop one of the first Paranormal Studies Program in the country that is taught at an institution for higher education at Harper College in Palatine, Illinois where she teaches paranormal studies classes. Mary also teaches paranormal studies classes at College of DuPage, Lake County College, and the Theosophical Society in Glen Ellyn, Illinois, as well as other schools and institutions in the Chicagoland area. Investigator & Researcher - Mary Marshall is the founder and director of The Paranormal MD, a paranormal investigation team located in northwest Illinois. As a paranormal researcher and educator, Mary has 18 years of experience in the paranormal investigation field and has been researching the paranormal for over 26 years. She is respected within several fields that include; paranormal, cryptozoology, psychic/mediumship, and she is involved with the organization MUFON which deals with UFOs. Her insightfulness and ability to "connect the dots" has allowed her to capture the knowledge, and share it in a no nonsense way that is understandable, and relatable. Mary is the ultimate observer who looks for correlations between the fields and types of activity occurring. She brings tried and true science into the mix and applies it to various phenomenon as applicable. Theoretical physics, quantum, multiverse theories, culture, and neuroscience are areas of study for her, and she loves to relate her findings to the general public whenever possible. Metaphysics, parapsychology, culture, spirituality, and the human consciousness all play an important role in trying to understand the supernatural. 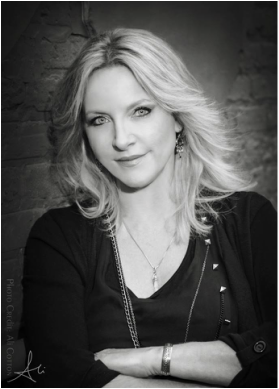 Lecturer/Presenter– Mary, aka The Paranormal MD, has a very diverse educational and work background that aides her in her current endeavors in the paranormal field. She is a very knowledgable, and skilled presenter, and enjoys speaking at public events, and conferences. It seems a natural extension of teaching about the paranormal in the classroom. Her energetic and engaging personality keeps her audiences informed and entertained. Radio show Producer & Host & Guest – Mary hosted her own talk radio show for a long time. Her original break into radio was as a cohost of a paranormal talk show at a land station in WI. The Paranormal MD radio broadcast is now only avaialble via on demand or podcasts. To learn more about Mary and the show go to www.TheParanormalMDRadio.com. Mary is often a guest on other's radio shows too. Mixing culture, science, and humor into the mix. Author - Mary's book, Continuum, is available for purchase at Amazon. She will soon be working on the sequel to her first book, Continuum, which has the working title Forever After. Her other nonfiction book has the working title, Paranormal Entanglement.